BETWEEN the political football game and the horror stories surrounding the National Broadband Network rollout, it's been difficult to see the fibre for the copper. But there are positive stories emerging as the tipping point nears, with 30% of the network complete and half the country able to connect by June. With a goal to not leave any household behind in the quest for fast internet access nationwide by 2020, regional areas are in line to reap the benefits more than those in the cities. Not only are regional people starting to see the positive gains they can make in business and education but there are predictions people will choose to stay in, or move to, the regions. Faster broadband means they can work from home remotely, minimise commute times and increase their quality of living. Digital economy expert Marek Kowalkiewicz says young people can help their parents with the farm but still be highly skilled and well-paid professionals in the place where they grew up. The Queensland University of Technology professor says preliminary research shows when entrepreneurs take advantage of fast broadband, there is a "strong ripple effect" on a region's economy. "We're seeing that once a business gets access to the internet and they start selling more products and services, that means they hire more people and they spend locally which creates demand for products and services of other businesses in that region," he says. "I'm expecting we will see people choosing to move to smaller regional towns to live that lifestyle but also we will see fewer people leaving small regional towns looking for jobs in big cities because they will be able to stay and work their dream jobs. 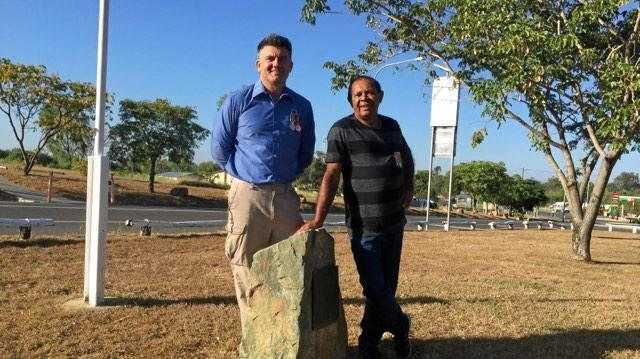 "This is exactly what I heard in Bundaberg where I met with developers working for a global software company. The moment you have networks like NBN, you can be working with talent from around the world, so you don't have to have those smart people who have specific skills in your town." Find out how you can share in $150,000 in grants for innovation involving the NBN. While it's a worthy objective to bring regional Australia to the rest of the world, and it to them, reception to the project's rollout has varied dramatically. The latest Telecommunications Industry Ombudsman annual report details how complaints doubled - with Bundaberg and Caboolture among the country's top 10 - in the past financial year but also notes the growth rate in complaints is lower than the growth in activating services. 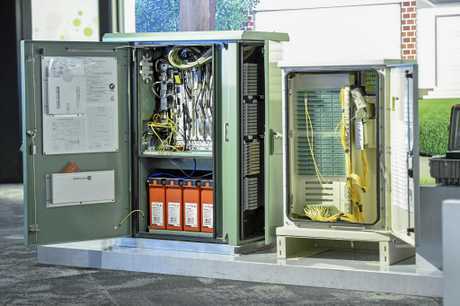 The loudest objectors on social media shout about the political decision to add fibre to the node technology, where the NBN connects to a box in the street and then uses existing copper wire to reach homes and businesses. But the reality is the complaints range across all six types of technology, as do the life-changing success stories. University of Adelaide telecommunications professor Reg Coutts says the copper network has been fantastic but questions "Why don't they just let it retire?". He says part of the problem is not letting end users know about an 18-month period where "they throttle the speed to give adequate time to complete the rollout". "FTTN is not as good as FTTP, no question, but the government's done this obviously to speed up the timetable and reduce the cost," he says. "The implementation should be done better, quite irrespective of the two parties arguing about FTTN and FTTP. This is about poor communications with the community." Download and upload speeds are the source of complaints for another reason. While the NBN guarantees a 25Mbps download capacity through the network, retail service providers offer a range of plans, including cheaper, slower 12Mbps options. RSPs have to build the network that plugs into the NBN at 121 locations around the country. NBN chief Bill Morrow says RSPs choose the size of the pipe opening depending on how much data they want to flow through that. So if they are targeting businesses that must be unconstrained during peak hours then they will need a bigger pipe opening but if they are selling to low usage customers then they buy a "skinny opening", he says. "This is where we get to the point where it's so difficult for the consumer to understand," Mr Morrow says. "Their network performance is a chain and a chain has multiple links in it. 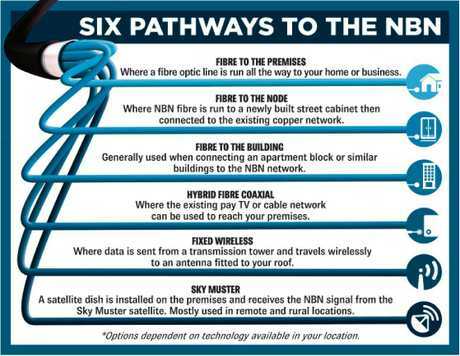 NBN is just one link." 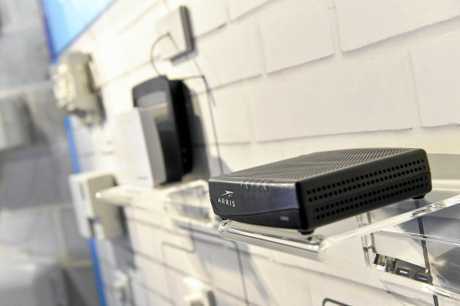 Telstra, for example, advises customers that speeds depend on factors such as distance from the node, external and in-home wiring condition, the number and position of sockets in the home, and modem position. So diagnosing the problem can be difficult. Kathryn Collins, who lives at Ooralea near Mackay, says her NBN service, which she believed was 25Mbps download speed when she signed up, was getting about half that. She says she has paid extra for "a speed boost" so her son can play games and they can watch Netflix without a lag. "The lag was so bad my son couldn't play," she says. "He has said now it's a bit better for gaming but not a hell of a lot better. "I'm not noticing much different - it can still freeze and hold. "During the day it's not too bad, it doesn't lag, but by 6pm it's terrible." But Kathy Pitt, from Gympie West, is stoked with her new NBN service, an upgrade from ADSL2 that would lag with even two people streaming Netflix. "We're a large family of six and before we had the NBN, I was always saying 'get off the internet because I can't do what I need to do'," she says. "Now we can easily have four of us on it streaming at the same time and there's no problems at all. "You have to accept dropouts, they're going to happen sometimes, but before NBN it was every day." The University of the Sunshine Coast student says people in her area complain about their NBN and she cannot understand why their experience is so different from her own. "As a country, Australians are a big bunch of whingers - they really should be grateful for everything we have - from health care to education to this," she says. "Technology is the way of the future. There's a great digital divide between the haves and the have-nots and if you've got people who can't even access a basic mobile phone they are not learning all these skills that other people have." Similarly, David Shinners has been on NBN for more than a year and says it's "trouble free". 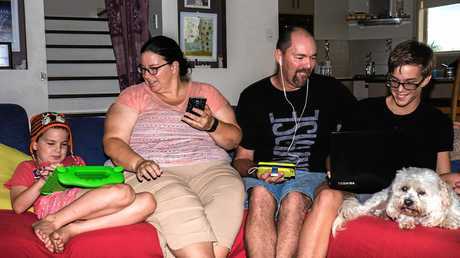 The teacher, from Rangeville near Toowoomba, says his eight-year-old son Hugh, wife Julie and he can all use the internet at the same time for downloading, streaming and gaming without a hitch. Mr Shinners, who graduated in mid-2015, says the ADSL2 he had previously was fine but the download power of NBN is unmatchable. "While I was studying there was a lot of material to download and it just took forever whereas now if it's a large document, it's just a matter of minutes, or a piece of software it's minutes instead of parking it and coming back later," he says. "A full-length HD movie can be 1.5GB to 2GB, it was pretty much overnight to download on ADSL. Now it's instant. So you can get a movie through the Apple store, sit down, hit go and it just plays, no delay. "My son is a pretty big user, he watches through Apple TV an endless amount of YouTube videos, my wife watches Foxtel through an iPad, all that can be going simultaneously without any problem." Mr Shinners goes through Westnet which is one of the many companies signed up to resell the NBN wholesale service. Waiting for NBN? Find out how the rollout is going in your region and when connected areas will be shut off. NBN is a wholesale company completing a socially driven project, Mr Morrow says. He says NBN makes a "modest 3.5% return" through the margins in the capital cities offsetting the loss in remote areas. Mr Morrow says it is important to create a robust, competitive retail market around their network. "Why that matters to the consumer is because not everybody ... will pick the same service levels or even the bandwidth that can flow through this network," he says. "Say I'm on a fixed income, I can't afford much, but I need basic access for my kids to be able to have some sort of online construct with the school and be able to do research reports ... but I'm not going to do a whole lot of Netflix media streaming. I can go with a provider that is going to be the lowest cost to me but if I try to use it in a busy hour period I'm going to get constrained. "Whereas my next door neighbour might decide I don't care about price, I want to pay for a premium service to make sure I can do Netflix on five different terminals in my house and I am unconstrained during the busy hour period." An NBN-commissioned survey has found that while Australians are online more, those not connected are significantly less satisfied with their internet experience than they were in 2014, particularly in regional Australia. But the survey found NBN was levelling the playing field, with NBN-connected households across both regional and metro areas significantly happier than non-NBN connected households. In particular, the impact on regional workers is substantial with the greatest impact seen in the area of efficiency and productivity on the job. With 10 times faster internet speeds for $20-30 less per month, Brad Warren says productivity in his business is tangible. He says he held off connecting to NBN initially "because we'd heard so many horror stories about switching over". But once Warren Family Homes in Bundaberg East went from ADSL to NBN "without a hitch", the team's had no problems since. Mr Warren says the building and contracting company find using Dropbox and One drive to share documents with clients, suppliers and contractors much quicker. "We are on the net a fair bit. We have an online program we use with our business so it's running faster, it's loading pages faster, and it's easier getting research and data from council websites and other websites we use a lot in our business," he says. "It improves the productivity of the company quite substantially with having much faster internet connections." Mr Warren's only gripe is when he'll get NBN at his home in Bargara. But the story is a little different when it comes to NBN's satellite service Sky Muster. Dugald Fisher and his son-in-law Michael Rodgers connected to NBN in October and they've already had at least three dropouts. They live just 11km from Lismore in northern NSW but they are on a property and Sky Muster is the only technology available to them. Mr Fisher used dial-up in the 1990s and then upgraded to satellite through Activ8me in the late 2000s but says the service gradually deteriorated. "I got a message to say NBN were going to take over. I thought whacko, I'll get some good speeds and service now," he says. "It turned out it made no difference whatever, in fact it was actually worse. It just got that bad that if someone sent me an email with graphics in it or something it would just time out so I wouldn't receive it. "I'm hostile about the amount of money Mr Turnbull has poured in to set up this marvellous system. After all these years, I'm no better off." Mr Fisher says he is also annoyed about having 35GB in peak time from 7am to 1am, which "gets used up pretty quickly", and 60GB in offpeak overnight. "If we cared to pay, we could have a much bigger prime time allowance but it was commensurate with what we were paying years ago and we just don't seem to get the value," he says. "I thought things like dropouts, we'd seen the end of that but if anything it's worse now. It might be for 10mins, it might be for half an hour or half a day - just no service." Mr Fisher is putting together a family history book so he mostly uses the service to communicate with family and friends while Mr Rodgers mostly uses it for streaming, downloads and Skype with family in the United Kingdom. But Mr Rodgers finds he cannot use the Skype video function, only voice, because the video creates a lag, is blurry and drops out. "It's a much better service but connectively drops out and the data allowance is a bit skewed," he says. "What I am finding is that because we get a faster connection, you can do more. "And because you can do more, you're using up more data and therefore instead of having 20GB that lasted you a month because you could do bugger all, you've now got 30GB which doesn't last you the month because you can do so much. "You've got these great things like Stan and Netflix and we want to take advantage of them but we can't because it uses up the peak data and I'm sure as hell not going to get up at 1am to watch Daredevil on Netflix. "It strikes me as giving you an hour to eat a sandwich for your tea break and 10 minutes to have a four-course meal for lunch." 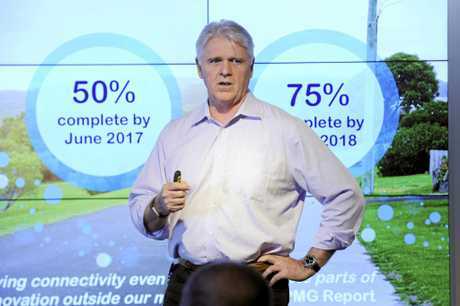 NBN fixed wireless and satellite general manager Gavin Williams says there's a reason for that data allowance division. 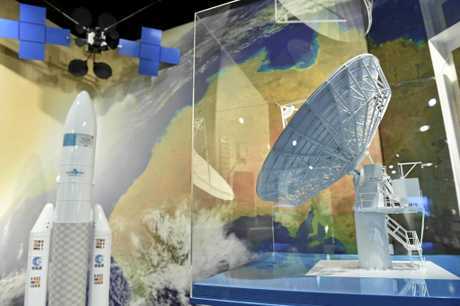 Sky Muster allows 40,000 premises in regional and rural Australia can connect to the NBN to achieve up to 25Mbps download speed. Mr Williams says there is a finite capacity on the satellite and a fair use policy is designed to ensure that finite resource is shared fairly. "One of the consequences of that is that we did need to specify the maximum amount of download during peak times. We're doing that to ensure all end users have a workable service through peak times," he says. "We're unleashing offpeak so we're urging industry to innovate and figure out how to use every GB that's available on the satellite during those periods that aren't peak." Mr Williams says his team is working through a range of upgrades to eliminate network faults. "There's been some issues with the network stability on the satellite and that kills you because you know people are relying on you to have a reliable service not just to watch kittens rolling balls of wool but actually to run their businesses and educate their kids and frankly keep in touch with people a long ways away," he says. By 2020, satellite will cover 400,000 premises and 650,000 will have access to fixed wireless, representing about 8% of the population. Mr Williams says about 80% of that work for rural dwellings and businesses is complete, which is way in front of capital cities like Sydney. He says it is humbling and meaningful to see the positive benefits NBN is making in rural areas. Describing "doughnuts" around many regional towns such as Warwick and Wagga Wagga, Mr Williams says farmers have access to these wireless technologies before the "townies" get their fixed NBN. "The town's eagerly waiting for the fixed NBN and there's a big ring of 30km wide doughnut of fixed wireless, people who've had access to superfast broadband for a couple of years," he says. "From the centre of Warwick through the suburbs and the McMansions on the outer skirts of Warwick, they're all fixed technologies. "Then you'll get to a paddock, and there'll be a farmhouse, where the population density is probably then divided by 10 as you get to the edge of the development and then you're in fixed wireless technology. "Then you'll have 14km or 30km or so of fixed wireless and then you're in satellite country. "There's really no other economic way of connecting these houses other than through these wireless technologies. "You can't have a kilometre of fibre serving one farmhouse. "20% of our towers are connected by fibre so NBN has built the fibre literally grazing through paddocks to get to towers and the rest are connected by microwave from those hub sites. IS THE NBN PRICE RIGHT FOR YOU? Brad Warren, Bundaberg: Now pays $20-30 less per month on Telstra's fastest fixed line NBN plan (100Mbps). At 10 times faster internet (from 9Mbps download to 92Mbps) as well as a package including mobiles and landlines, he said it was "a no-brainer to switch over". David Shinners, Toowoomba: He is $15-20 better off after switching from ADSL2 to NBN fibre to the house. Says changeover and use has been "trouble free" and download speed increase has been "dramatic" on the 100Mbps plan with Westnet. Kathryn Collins, Mackay: She is "bitterly disappointed" with her switch to NBN with Telstra. Says she was paying $80 a month for 250GB on ADSL2 and then switched to a $120 monthly plan for 1000GB that was discounted to $99 when she signed up. Says the lag was so bad her son could not game and she had to pay more for a speed boost but still experiences lagging and freezing. Dugald Fisher and son-in-law Michael Rodgers, Northern Rivers, NSW: Report mixed experiences with Sky Muster satellite. Speed is faster but have had three lengthy dropouts in the two months with NBN. Dugald said he used to pay more than $2000 a year for a landline and about $75 a month for internet a decade ago. Having a landline through NBN has cut his landline back to about $600 a year. They are paying $55 a month to use the satellite (35GB prime time and 60GB off peak) but feel they get less value than previous plans. Kathy Pitt, Gympie West: Went from $89 for 500GB on ADSL2 to $89 for 400GB on a 25Mbps download plan on the NBN fixed line. Says she is "stoked with it", having gone from lots of dropouts and buffering to four people able to stream and game simultaneously with "no problems at all".